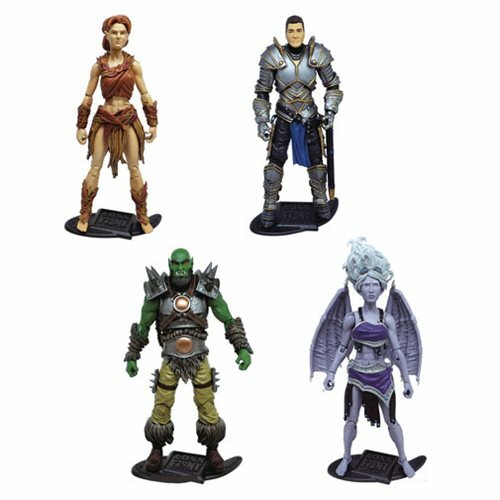 Shopping for Fantasy Action Figures? Across a new world, the battle for the ages continues to rage. Valiant knights stride across the land, elves stalk the woodland realms and magic is shaped and shifted into powerful spells and creatures. Dragons cut through the sky bringing fear and awe, and always, the war drums of the orc conquerors beat. Take up sword and shield, bow and arrow, or spell and staff and relive the gruesome conflict with the fantasy figures, then use the amazing h.a.c.k.s. system to mix, match and make your own!